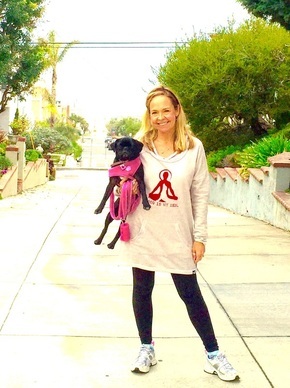 Katy Cable currently lives at the beach in Belmont Shore, California with her husband Rick and her rescue Pug, Olive. In addition to working with various rescues, and shelters for over 15 years, Katy is proud to be a brand ambassador for Nulo pet foods, and the organizer of the Lakewood-Long Beach Pug Lovers Meet-Up Group. Katy has appeared in a variety of TV shows and films including "Back to the Future" and "Safe at Home." She has produced and appeared in the TV series "Haute Rocks", "Fired Up!" and "Bookworms." Katy is a contributing writer for several publications including Arianna Huffington's Thrive Global. With her eldest daughter Kristin recently married and Karley, her youngest attending college, Katy is now adjusting to her new role as "Empty-Nester"